Bad weather, busy schedules, forgetfulness…. All can put you in a position to need a last-minute Valentine’s Day gift or reservation. Not to worry – we’ve got you covered with these incredibly interesting and available fun things to do for Valentine’s Day (or later) in New York City. 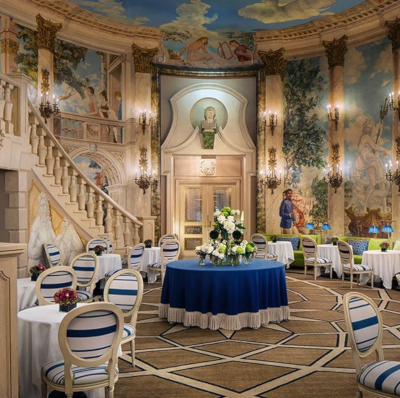 The Pierre Hotel is giving you lots of choices to book your last-minute celebration. You could surprise your sweetie with a stay at the hotel for a truly romantic evening, and, if you do, you’ll be treated with a decadent bottle of Taittinger Champagne and a pair of crystal flutes from Tiffany’s, yours to take home as a souvenir of your romantic evening. The following morning, you’ll breakfast at charming Perrine, the hotel’s swanky restaurant. And what’s better, you can book this romantic getaway any time through February 28 so you don’t have to stay in the middle of the week. 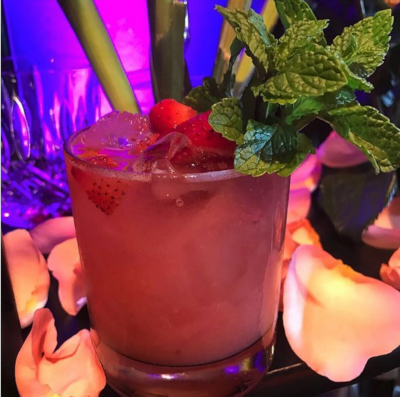 What would Valentine’s Day in New York City be without a party with an international twist? 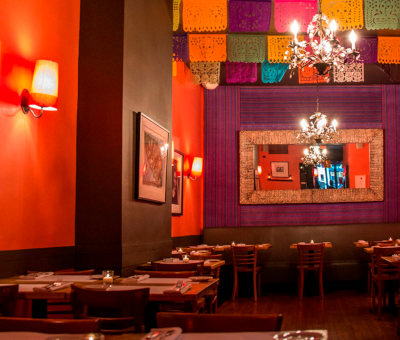 At Fonda in Park Slope (Brooklyn), the East Village and Chelsea, you can indulge in a traditional Mexican celebration of El Día del Amor y la Amistad (the Day of Love and Friendship). Each dish of the meal takes on a cheeky, romantic significance starting with the Sopa Marte y Venus which pays homage to Mars and Venus (a twist on the traditional soup with a Venus love overlay), Lovers’ Guacamole mixed with mango and red grapes, and Shrimp Apasionados adorned with passionfruit. The dessert is Chef Roberto Santibañez’s Valentine’s Day version of a lava cake with bright red raspberry sauce and whipped cream. Also embracing the Mexican spirit, at the Dream Downtown, Bodega Negra’s Executive Chef Brad Warner has created a romance-inducing menu of guacamole made with white chocolate, hibiscus, pomegranate and almond tostadas; lobster ceviche; and sarape, a seductive combination of delicata squash, hen of the woods mushrooms, mole and queso Chihuahua. 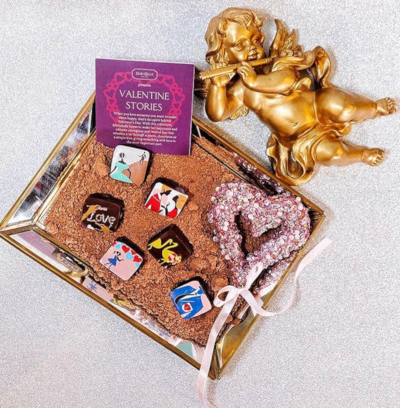 For a sweet finish, Chef has some fun with a selection of limited-edition conversation desserts, reminiscent of the candy hearts traditional for Valentine’s Day. 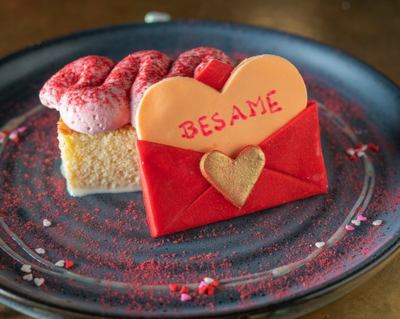 Diners will pre-select a personalized saying such as “Mi Amor” (my love), “Te Amo” (I love you), or “Besame” (kiss me) to be embossed on their celebratory Tres Leches dessert. Book your dinner and pre-select your dessert message by February 13. 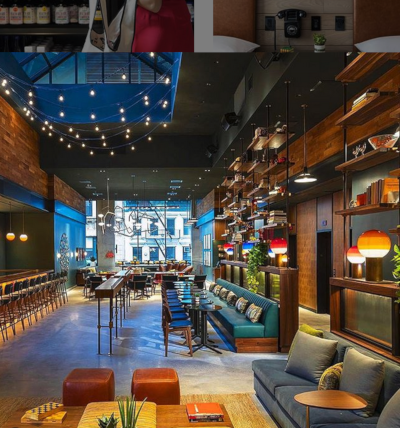 If all this isn’t enough to win a New Yorker’s heart, the Seaport District’s iPic movie theater and Tuck Room restaurant are offering two over-the-top packages for Valentine’s Day. If you’re sure that you’ve picked your mate for life, you can pop the question here. You can choose the Big Screen Proposal Package, where you create your own proposal to be shown on the big screen with a surprise “movie trailer,” an extravaganza that will make any romantic filmie swoon. This celebration can be as large as you’d like, too, by including friends and family (unknown to your sweetie, of course) and arranging a catered meal with cocktails. 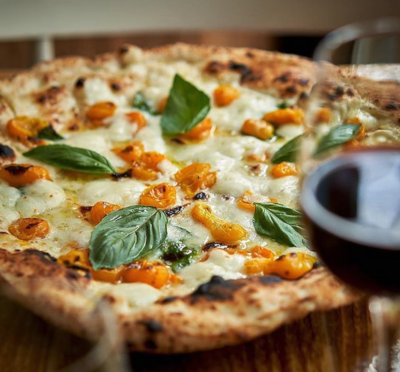 Diners are invited to enjoy a program featuring the best of New York, with local chefs and local producers coming together in a delicious way, courtesy of Manzo located in the everything-Italian-emporium Eataly in Flatiron. The collaborations also benefit Grow To Learn by GrowNYC, a local charity. 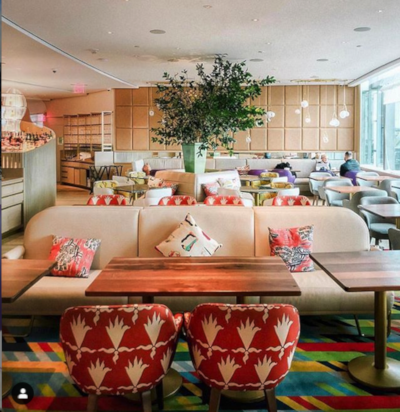 Started in 2017, the highly successful multi-chef dinners, “From New York to New York – Manzo,” will continue through September. Earlier this summer, Chef Fortunato Nicotra from the acclaimed restaurant Felidia treated diners to his exceptional tutto tonno, with tuna prepared three ways: a semicarpaccio tartare, preserved, and tonnato sauce. He also created an exceptional prime beef striploin battutina pounded thin, and served with housemade burrata and heirloom tomatoes. The tutto tonno special was added to Manzo’s menu for the month of July. 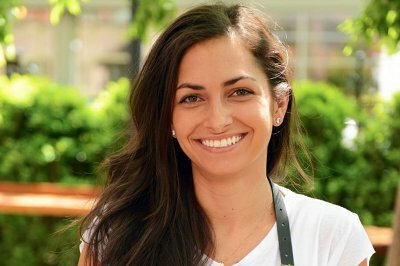 In August, Manzo will show off the special menu creation of Chef Ali Larais of The Sosta with her corn agnolotti with an Invincible Summer Farms heirloom tomato pomodoro sauce added to the menu at Manzo. 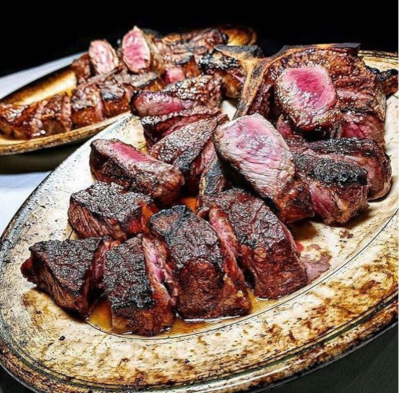 Sosta is an authentic Italian restaurant located between New York City’s Little Italy and NoLiTa neighborhoods. September ‘s guest chef and menu will be announced soon. 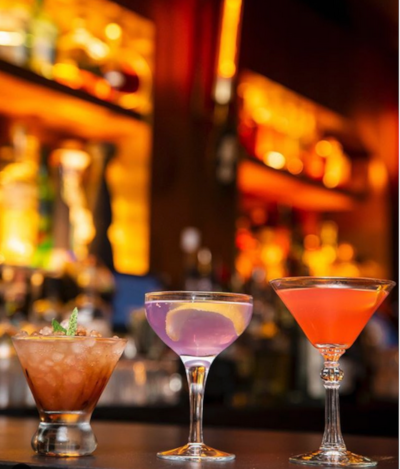 The special menus are featured throughout the month with a special cocktail and wine pairing. A percentage of the proceeds from the dish are donated to the Grow To Learn by GrowNYC, an environmental non-profit that runs a New York City farmers’ market program, builds urban farms and community gardens, and teaches the city about recycling. GrowNYC is active in creating school gardens in each and every public school in New York City that wants one and is currently working with more than 750 schools in all five boroughs. 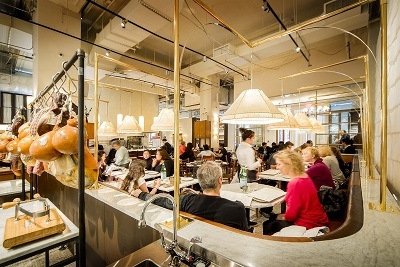 For information and reservations, contact Manzo, https://www.eataly.com/us_en/stores/nyc-flatiron/nyc-manzo, Eataly, 200 Fifth Avenue, Flatiron District. 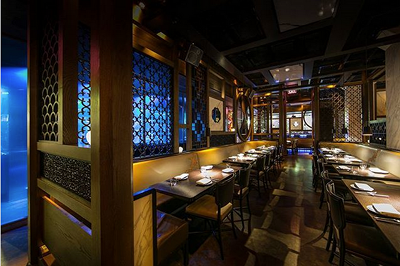 The sexiest celebration in New York City happens at Hakkasan in the Theater District. Kicked off by a lion dance on the first evening, the two weeks of the Chinese New Year are filled with special dinners and drinks. For 2018, there is a $118 prix fixe menu (for a minimum of two guests) featuring the best of Hakkasan’s modern Cantonese signature dishes. Dishes have been selected for the cultural significance of their ingredients and their ability to portend good fortune. Baked Chilean sea bass with kumquat glaze will bring prosperity as eating fish at the New Year is said to increase wealth. Similarly, oysters, traditionally symbolizing fortune and good luck, are included in Szechuan oyster with lotus root and crispy rice in mantau. Fat choy is an ingredient that means “to grow wealth” in Chinese and is found in the abalone fried rice in bean curd wrap with Chinese sausage and shiitake mushroom. Hakkasan’s dinner also features a special Chinese New Year cocktail, the Good Fortune, made with Grey Goose Orange and fresh blood orange ice (oranges are traditionally given during the new year to symbolize good luck, happiness and abundance); five-spice pomegranate syrup, adding red to the drink, an important color of good luck, and the pomegranates to inspire fertility; satsuma godai; lime juice; and an orange peel rosette to add a touch of floral design, signifying rebirth and luck. Toast away! A sweet finish is provided with Hakkasan’s reimagined fortune cookie, the macartune, which has 88 (8 represents prosperity in Chinese tradition) New York-centric fortunes written by author Jay McInerney like “Your train will arrive on time and there will be a seat available” (happy) or “A new skyscraper is being built next door to your building and your view is about to disappear” (sad). 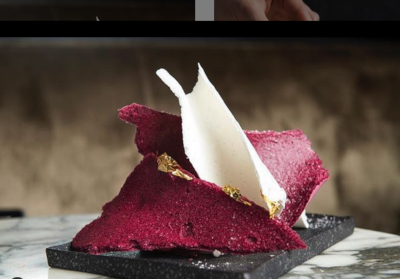 The writer of “Bright Lights, Big City” and Hakkasan Executive Pastry Chef Alexander Zecena have imagined the vanilla-flavored cooked as a riff on New York’s beloved black and white, with one half coated in chocolate and then stamped with a red chocolate seal to symbolize good luck for the New Year. Another tradition continues at Hakkasan, too, the annual wishing tree. Guests receive a red ribbon upon arrival on which they write their wishes. Ribbons are hung around the dining areas, a custom that is said to have begun hundreds of years ago in Hong Kong. In Lam Tsuen, Hong Kong, villagers would arrive to visit the secret Wishing Trees and hang notes on the branches with wishes for the year ahead. Today, as yesterday, guests are encouraged to write their wishes with the hope that all written down will come true. 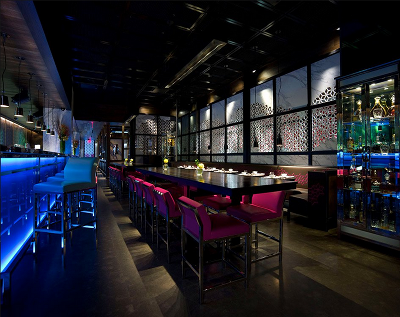 www.hakkasan.com/newyork. Little Tong Noodle Shop in the East Village pays homage to its Yunnanese roots with its first-ever 16-Day Chinese New Year Celebration. 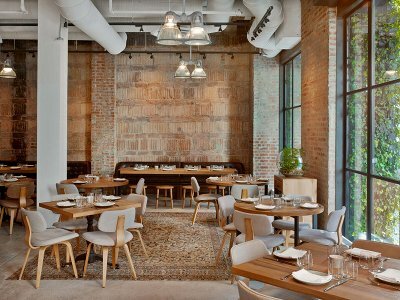 The mixian menu here is enhanced with a special dish at both lunch and dinner such as Day 3’s goubull 18-fold dumplings and Day 16’s Yuan Xiao, a sweet sticky rice ball soup. Each day represents a different celebration starting with the Celebration of the Chicken on February 16 with shaokao, fire-grilled chicken wings with gingko and the Celebration of the Dog on February 17 and finishing with the Celebration of the Dragon on March 1 when red snapper and dragon fruit slaw will be served. The grand finale happens on March 2, the Lantern Festival. www.littletong.com. Hawaiian poke is a newish trend in New York City – it’s healthy, fresh, and relatively inexpensive. 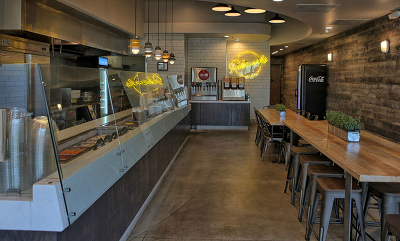 Try Pokeworks on 37th and 6th, next to a restaurant that’s anything but healthy, Chick-fil-a. 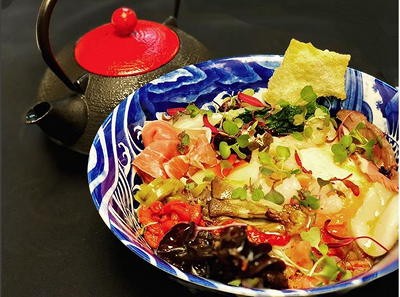 You start by picking your fish – tuna, salmon, shrimp (or even chicken), add toppings like seaweed, pineapple, and garlic flakes, and create a personalized bowl that’s far superior to those quinoa or salad bar things. Sushi Nakazawa and O-Ya – two splurge-y restaurants for sushi and fish. 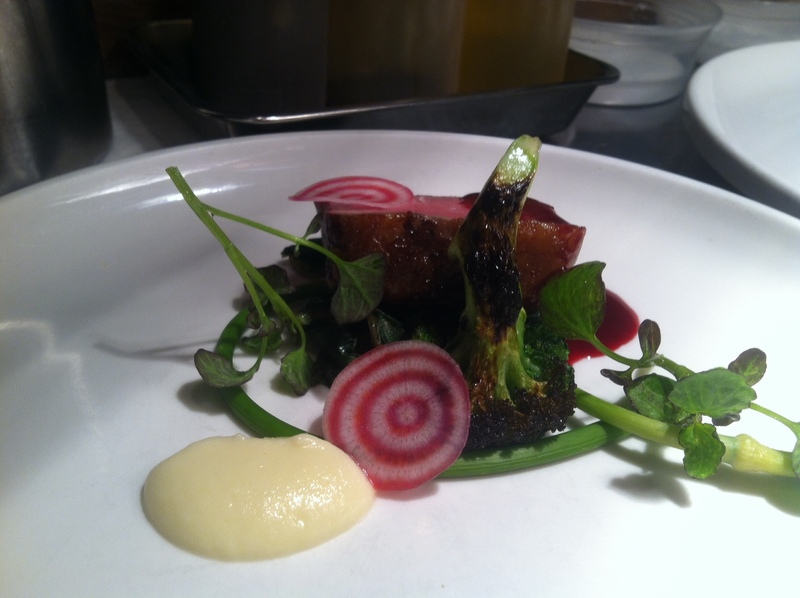 You can request no meat dishes and have an outrageous omakase (chef’s choice) meal. 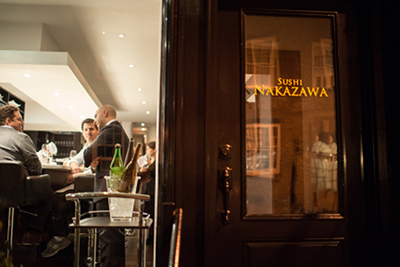 Sushi Nakazawa is on Barrow Street in the Village. O-Ya is in Murray Hill. 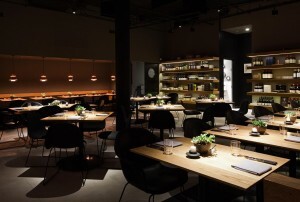 Both feature superstar food talents, Chef Daisuke Nakazawa, a protégé of Japan’s acclaimed Jiro Ono and the O-Ya team from Boston, Tim and Nancy Cushman. Chicken is high on everyone’s list for healthy foods. Le Coq Rico in the Flatiron District is Antoine Westermann’s tribute to the bird. He brings his French-Alsatian expertise from Paris to NYC with chicken sourced from the farms of New York. Roasted, it’s a healthy alternative to that breaded or fried version. I’d save my calories for Chef’s wonderful Ile Flôtante. 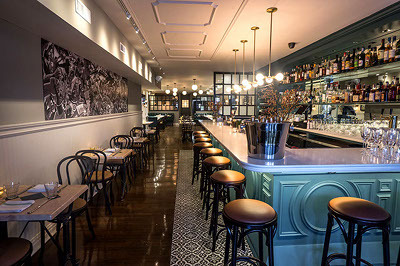 For pure, unadulterated rotisserie chicken in a luxe setting, visit Rotisserie Georgette on East 60th Street, where the owner’s many years of experience working with Daniel Boulud is in play at this sophisticated midtown restaurant. When I’m craving something decadent, I love ordering fried chicken. It’s not something I do every day, and I realize that’s it less-than-healthy, but it’s always wonderful. My go-to is the tiny, quirky Birds and Bubbles on the Lower East Side. You go down a narrow metal stairway to a very narrow restaurant where Southern food is the star. 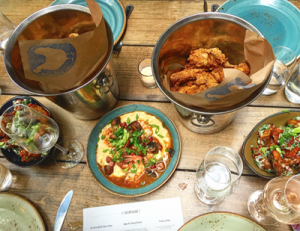 Sarah Simmons, most recently of City Grit fame, has brought her North Carolina upbringing to NYC and paired her amazing dry-brined, fried chicken with Champagne. Who would have thought? It’s pure brilliance. I always like finding the small bistros that really make you feel at home. Little Frog sits quietly on busy East 86th Street, an authentic French bistro from people you should know from their time at Balthazar, and also from Minetta Tavern. 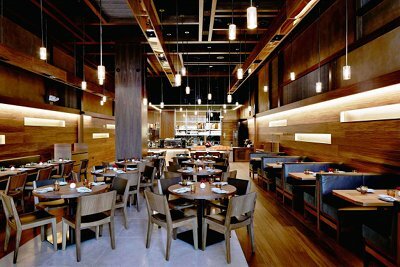 Order all seafood – try their amazing oysters — or splurge on the fab coq au vin, and you’ll have a wonderful cozy meal. It’s a quick walk from the new Second Avenue subway stop, too. 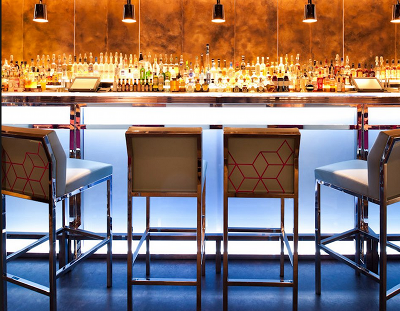 Indian cuisine has always been notable for offering wondrous vegetarian dishes, and NYC has a Michelin-starred one that takes Indian cooking to a new level. Tulsi, on East 46th Street, brings cooking from Goa, mixes it up with street food, resulting in a showcase of unusual takes on somewhat familiar dishes. Here, it’s worth saving room (and calories) for dessert as well. 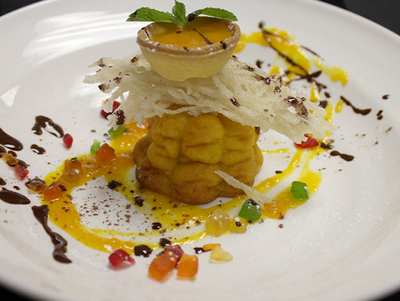 The creations from Chef Eric McCarthy (yes, that’s really his name and he IS from Goa) are anything but ordinary. Finding a good restaurant after going to Carnegie Hall just got a little bit easier with the return of Jams to New York City. The original California cuisine restaurant of the 1980s, Jonathan Waxman’s Jams is now on the West Side walkable from the Theater District as well as Carnegie Hall. 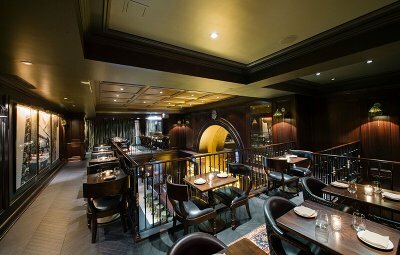 The airy room is a great choice for sampling their signature Jams chicken and pancakes with caviar and smoked salmon, both from the menu of the original restaurant. 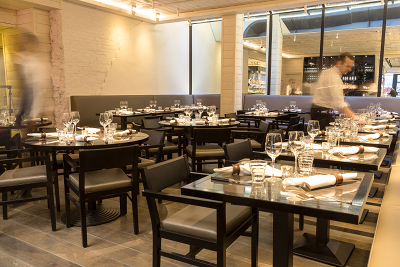 For that special-occasion, serene but sensational dinner, book a table at Gabriel Kreuther. The former chef at The Modern, Chef Kreuther serves up a meticulous menu of Alsatian dishes that are as beautiful as they are delicious. If you don’t want to have the full set menu every night, there’s a separate bar with its own menu where you can order the tarte flambée, a pizza-like creation with sweet onions, smoked bacon and fromage blanc that put this chef on the map. 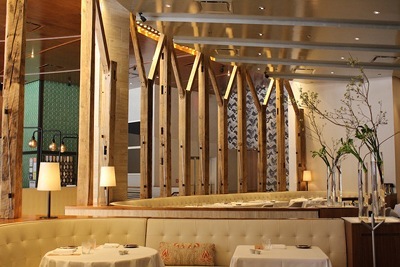 The restaurant is an oasis across from Bryant Park and has an extraordinary wine list, too. Walk next door to the amazing new handcrafted chocolate shop. And speaking about wine, how about a wine bar and a tapas bar that’s so small that you’re advised to arrive by 5:30? 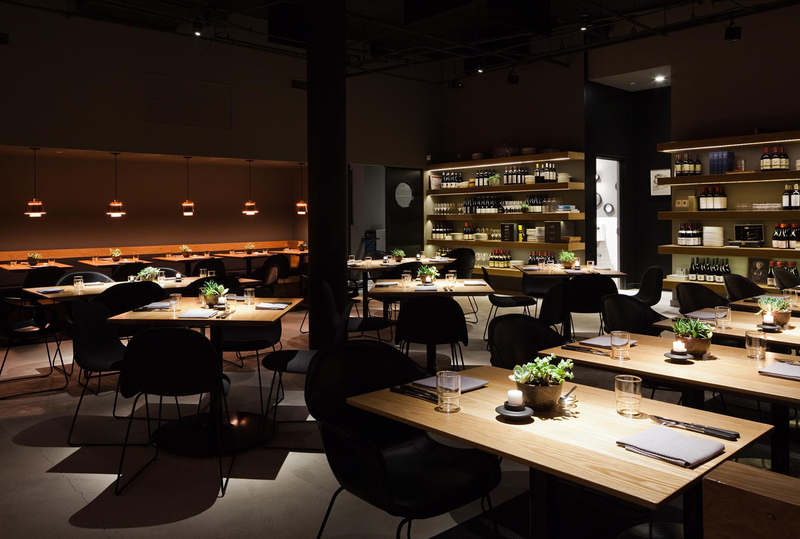 Desnuda on the Lower East Side on East 7th Street will thrill you with its tiny space and its chef’s prowess and creativity. Tea-smoked oysters are sensational — it looks like they’re being cooked in a bong — as are the ceviches. 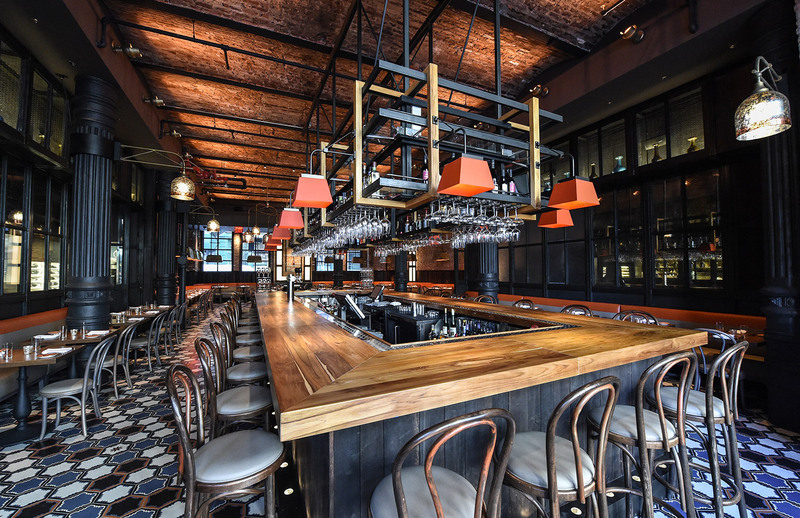 If a scene is more your speed, head to the back of the NoMad, to the NoMad Bar in the city’s newly coined NoMad district (north of Madison Park), where the bar is lively and the menu is pure comfort. In cold weather, the perfectly indulgent chicken pot pie with foie gras and truffles is a knockout, as is Chef Daniel Humm’s Humm dog, a hot dog unlike any you’ve had before. Trying to eat healthy? The carrot tartare, originally on the menu at sister restaurant Eleven Madison Park, is an exceptional vegetarian dish, with the consistency and ingredients of its meat-based counterparts sans the meat. Add a touch of caraway seeds, horseradish, apples and … because we’re talking about carrots after all. It’s pretty and delicious. 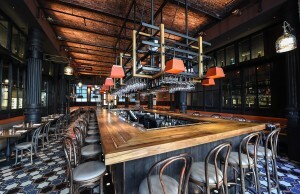 And, finally, one of the newest “hot” restaurants on the Manhattan scene is in Midtown, just behind Bryant Park. Coffeemania is NOT a coffee shop. 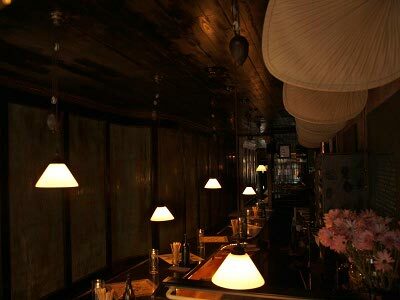 Rather it’s a Euro-Russian-American eatery that’s chic and has unusual choices in both beverages and food. The menu is so creative that you can eat healthy (or not, as you wish). I love the hamachi tartare (very healthy) but also the bone marrow (definitely not healthy) and the warm borscht. Teas from around the world are as creatively curated as the wine list. January is a great time to check out NYC restaurants — it’s not tourist season and they’re a good reason to escape the cold. Happy dining! It may be off-and-on cold and warm this winter, but the reality is still that scarves and hot chocolate are becoming the accessories of choice. If the winter blues are getting you down, try these suggestions to put a smile on your face.